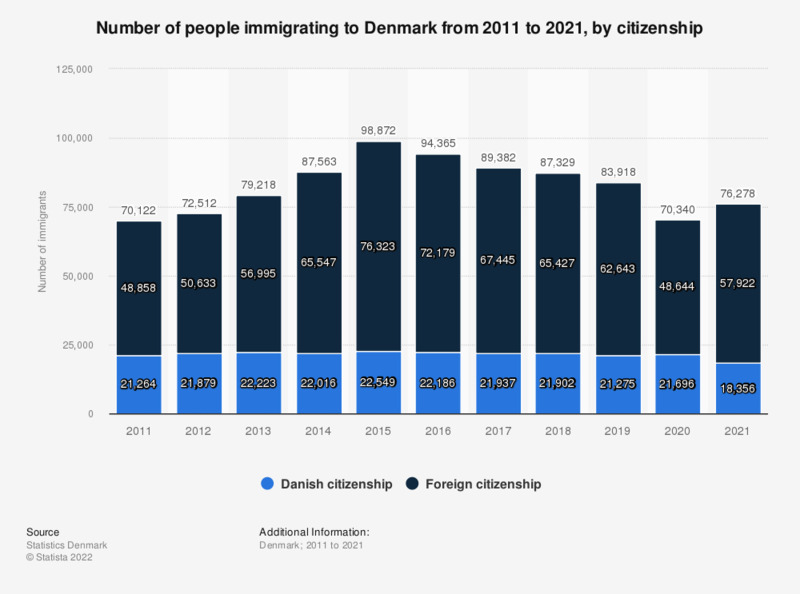 This statistic shows immigration to Denmark from 2008 to 2018. The number of immigrants in Denmark has been rising and has reached approximately 99 thousand in 2018. Overall, do you think immigrants from Russia make a positive or negative contribution to life in Britain today?